84. Volunteer to help youth organizations develop bird study programs. 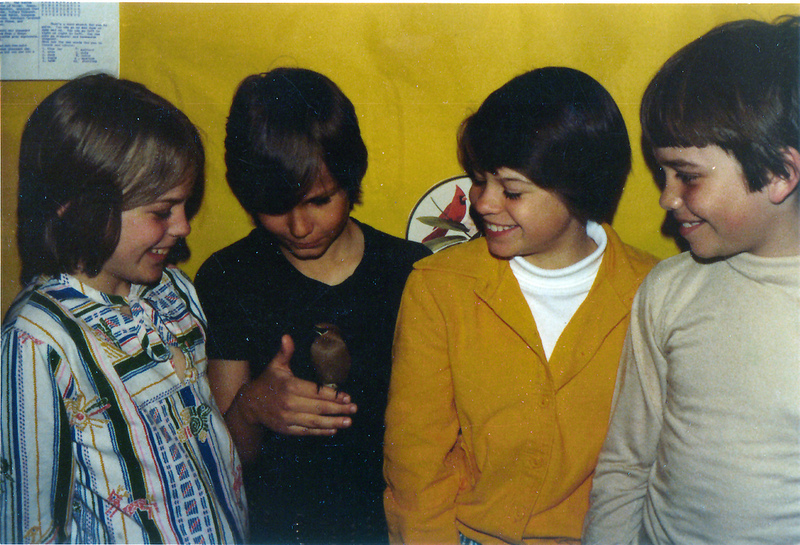 When my boys were Scouts, I had the great pleasure of helping their troops earn their Bird Study Merit Badges. Boy Scouts earn this badge by reading an informative and surprisingly comprehensive booklet (written by noted field ornithologist and author Scott Weidensaul) and then demonstrating that they know how to use binoculars, recognize the parts of a bird, use a field guide, keep a field notebook, and identify at least twenty species of wild birds by appearance and at least five species by song or call. Other requirements include taking a field trip with experienced birders or demonstrating some understanding of local bird populations, building a feeder or birdbath, or planting a backyard sanctuary. Although the skills required to earn the badge are fairly straightforward, many Scout leaders and parents don’t feel knowledgeable enough about birds to help the boys earn this merit badge. It’s an easy matter to purchase the inexpensive bird study booklet from the local Boy Scout Council, familiarize yourself with the material and activities the boys must master to earn the badge, and then volunteer to serve as badge counselor. Girl Scouts have no specific bird study badge, but individual troops can devise special badges. When I was the leader of my daughter’s Girl Scout troop, we dissected a Great Horned Owl, built bird feeders, learned to recognize and imitate a wide variety of birds by appearance and sound, and went birding in local and state parks. Although few leaders or parents would have the necessary permits to legally dissect an owl, local birders can certainly volunteer to help girls master basic birding skills that will help them fulfill the requirements of some of their outdoor badges. Some schools welcome community volunteers to help teachers with various activities. If you’re interested, alert local principals of your availability and what you can offer students. Schools are naturally leery of strangers, and teachers are often too busy with the basic curriculum to cover nature study in the classroom, but local birders and classroom teachers occasionally get together to provide excellent bird study units. Some schools also support after-school nature clubs or programs. Even when you can’t go into schools personally, local checklists, old field guides and binoculars, and other educational materials may be welcome. Sometimes a member of a local birding club organizes a junior birding club, offering meetings and field trips for children that run at the same time as the adult ones. These can be very successful, providing fun birding opportunities for children and making it easier for their parents to attend meetings. But the purposes of the club need to be presented clearly to parents, who should not expect to drop off uninterested children and get free babysitting services.